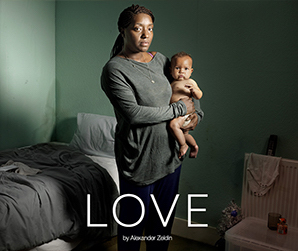 Considering in 2016 the National Theatre’s Dorfman has staged both an uncompromising version of Sarah Kane’s Cleansed and a devastating musical about cancer, it is some feat that writer and director Alexander Zeldin’s Love is the most brutal play the space has seen this year. 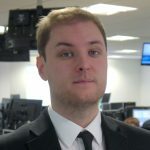 Set in temporary accommodation just before Christmas, Love feels like watching the economic noose gradually tighten around someone’s neck. Following a middle-aged man and his elderly mother, a family with two young children and a couple of other solitary occupants, Zeldin explores the hoops people must jump through when they find themselves in need, and the places they end up when they are deemed to have failed. The most immediately striking aspect of the production is Natasha Jenkins’s design. Stained walls and grubby furniture (though furniture suggests a homeliness this space is utterly devoid of) dominate the communal area of the setting, with numbered doors allowing only the briefest glimpses into the tiny bedrooms shared by those who live there. Scored by nothing but the ambient noise of people trying to go about their lives, the lines between stage and seating are then dissolved so at times one becomes the other. 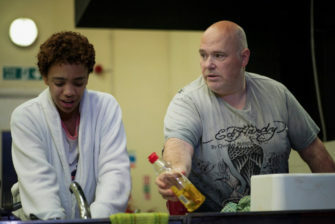 This effect is sustained by Marc Williams’s stark lighting, which drags the audience into the same atmosphere as the actors. 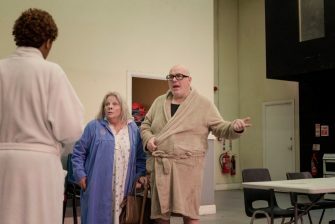 Zeldin manages to find comedy in the minor and major indignities involved in living in temporary accommodation; if he didn’t the play would be unbearably sad. Yet even this gentle humour can’t prevent the final 20 minutes from being some of the most uncomfortable seen on stage in 2016. 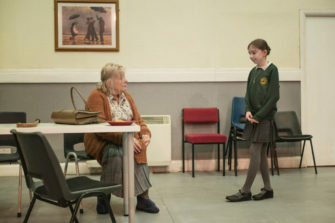 As Nick Holder’s Colin, Anna Calder-Marshall’s Barbara and Janet Etuk’s Emma share a moment of elderly humiliation it is hard not to avert one’s eyes, the characters’ barely maintained facades crumbling. The entire ensemble is wonderful. 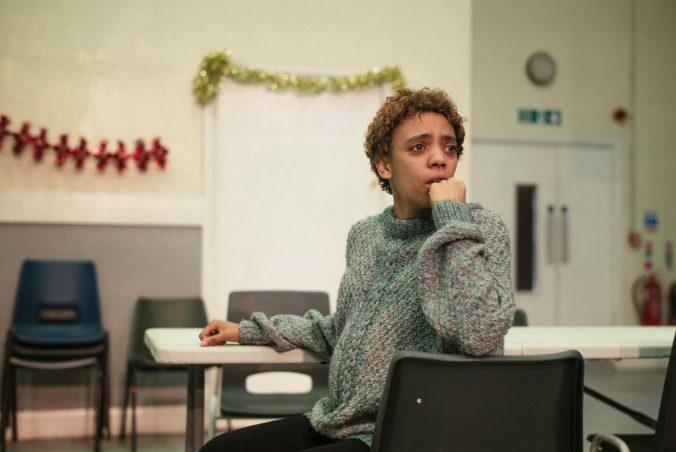 As parents trying to keep the tension and weariness of displacement under control for the sake of their kids, Etuk and her on-stage partner Luke Clarke are painfully believable, enough to cause their shared moments of anger to take on the shock of watching real people fight. 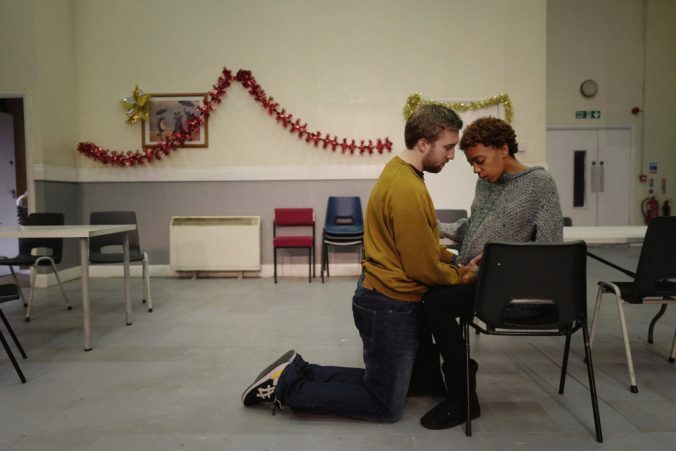 The tenderness between Calder-Marshall and Holder’s mother and son, however, is the source of the play’s most shattering moments; the former is acutely aware of her age, while the latter is a big-hearted man made to feel small by the world. Yet sorrow should not be the only emotion stirred by Love. 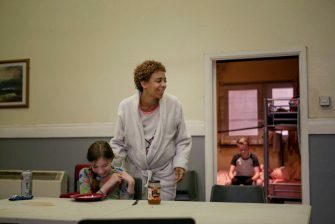 The reality portrayed on stage should provoke fury and disgust, Zeldin capturing the litany of ways in which people are punished for daring to be poor. Love is at the National Theatre from 13th December 2016 until 10th January 2017. Book your tickets here.